A graphic from the Pew Charitable Trusts shows the trend in property crime and larceny in Kansas. The shaded side of the graph shows rates since Kansas raised the bar for getting a theft-related felony in 2004. 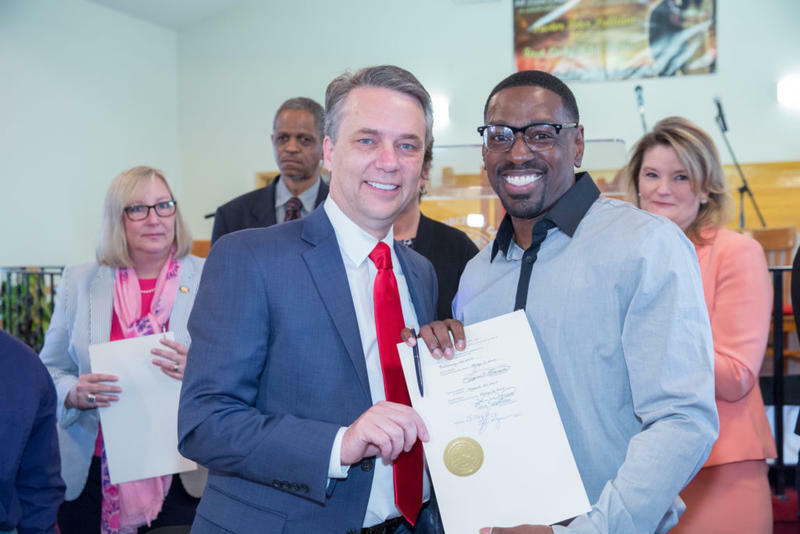 Kansas could end up handing out fewer felonies — and more misdemeanors — for certain property crimes. That could mean sending fewer people to state prison, though some might end up in county jail instead. Until 2016, stealing $1,000 worth of property was the threshold between misdemeanor and felony theft. Then Kansas raised the dividing line to $1,500. A criminal justice commission looking at prison overcrowding in the state voted this week to ask the Legislature to do the same for a host of other crimes. They include criminal property damage, stealing mislaid property, counterfeiting and Medicaid fraud. As of August, both the male and female prison populations were above capacity. 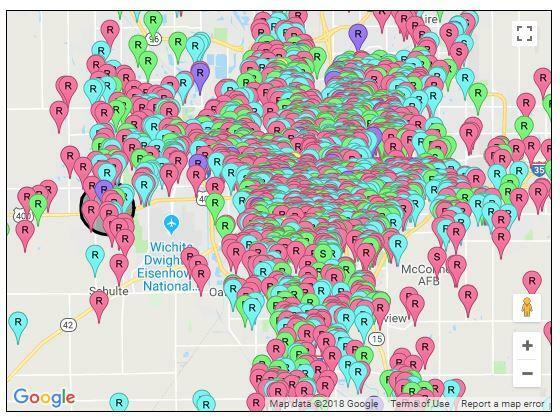 The proposed changes would free up an estimated four beds a year and spare people a black mark that can make finding work difficult for the rest of their lives, says Scott Schultz, executive director of the Kansas Sentencing Commission. It can be harder to find employment with a felony record because many employers require disclosure of felonies. Getting a misdemeanor instead of a felony means potential time in county jail, but not state prison. That doesn’t necessarily translate to less incarceration time. In some cases, people could spend more time behind bars in a county jail than they would have in a state prison. The Kansas Sentencing Commission is making its case for the change based on research from the Pew Charitable Trusts. Pew found dozens of states have made similar changes since 2001. That didn’t lead to more crime. 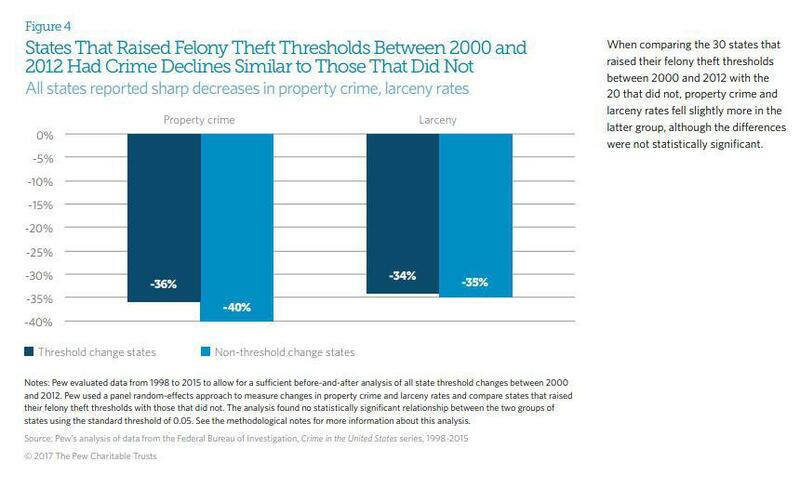 Rather, property crime and larceny rates fell in states that changed their thresholds. It dropped slightly more in states that didn't change, but the difference was statistically insignificant. Kansas has raised its threshold for felony theft before — in 2004 — and related crime continued to decline, Pew says. In 2015, a woman donned a clown mask and slipped into a Dollar General Store in Wichita just before closing time. In the final moments of the robbery that eventually got her three years in prison, she did something that could complicate her life for many more years to come. She flashed a stun gun, stuffed the $3,400 in her coveralls and fled. Kansas lawmakers may once have thought stiffer penalties for marijuana made sense, but in recent years crowded prisons forced them to take another look. One of the changes, made in 2016, reduced the crime of being caught with marijuana a second time from a felony to a misdemeanor. 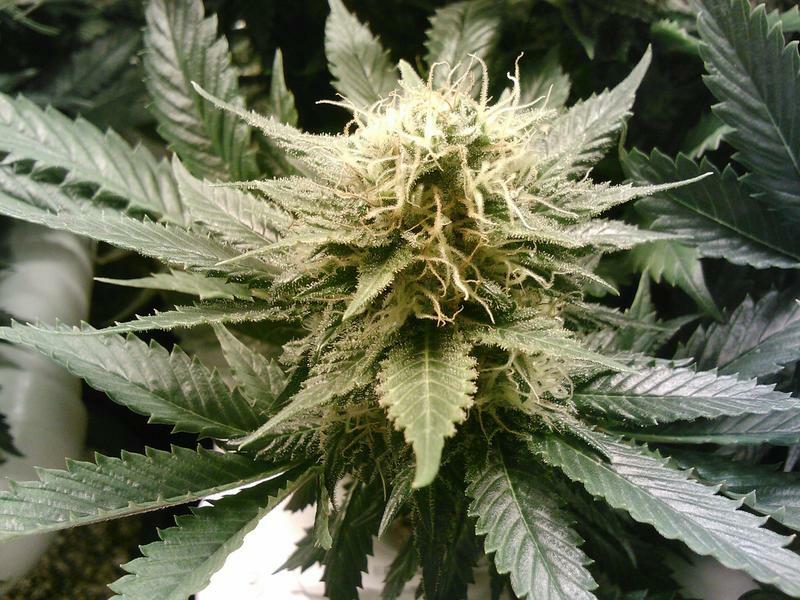 But on Tuesday, the Kansas Sentencing Commission said that change overlooked state law that still keeps harsher penalties on the books for getting caught with pot residue than for possession of marijuana.